Drought is starting to look serious. 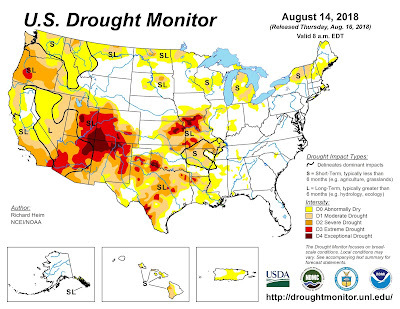 This is the first time I've seen "extreme drought" pop up in Oregon this year. In Salem there's been no recordable rainfall since May. 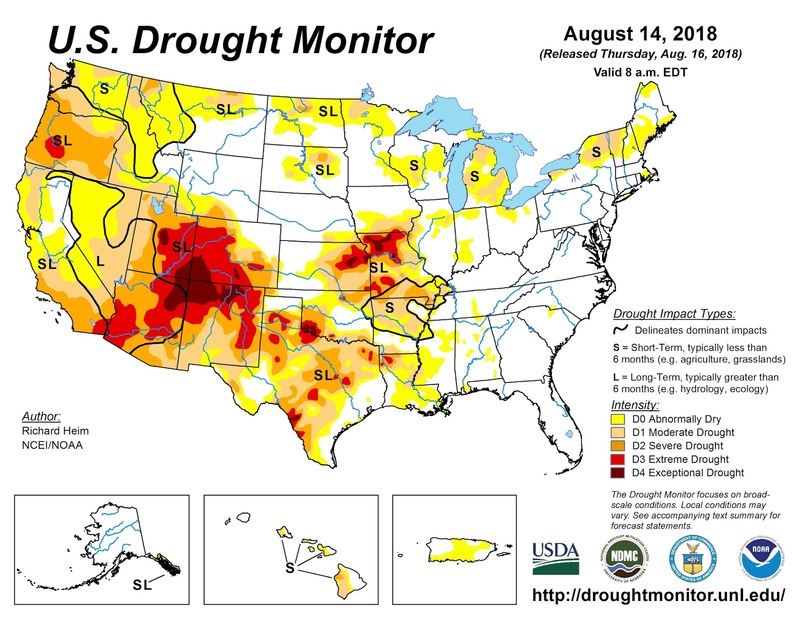 49.5% of the country (USA50) is at least abnormally dry -- 17% is at least in a moderate drought. A year ago that latter number was only 4%. John Fleck has an interesting post about how the ongoing drought in the southwest is forecasted to affect water supplies there. (Though the monsoon has delivered more rainfall there than usual. )Water cutbacks for Arizona and Nevada are expected by January 2020.